When seasons change, check your wiper blades. 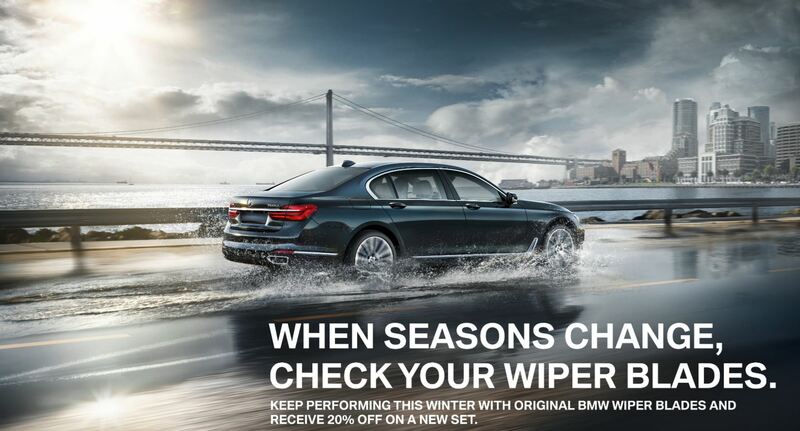 Keep performing this winter with original BMW wiper blades at discounted price. Wiper blades play an active role in driving safety. They must provide performance in every situation as well as being perfectly tailored to the aerodynamic conditions of every BMW. Original BMW Wiper Blades are engineered to meet all of these requirements resulting in perfect wiper performance combined with a lower noise level compared to conventional structured blades.